The Lowrance HDS 7 Touch is considered as a third generation all-in-one fish finder, chart plotter and depth sounder. This HD system can attain really high speeds and is also powered by the use of touchscreen control. Lowrance HDS 7 Touch Fish Finder is 16 colors, super VGA SolarMAX PLUS TFT display, and wide-angled views offer enhanced clarity, even when the user is looking at it under the glaring sun without polarized sunglasses. Anglers will certainly enjoy its advanced memory capability which allows for 5,000 waypoints as well as favorite locations, as well as 200 routes each with up to 100 points, including 10 plot trails each with 12,000 points that can be saved on the unit. You may also expand the memory even further with the use of an SD card that fits into the provided waterproof slot. As a matter of fact, the entire unit is also completely waterproof, thus meeting the IPX7 standards of a touchscreen along with user-friendly menus and five push-button controls, all of which makes it possible to easily operate the device. Since this unit has been designed to support 36 languages, it generally has a high appeal even for international users, with extra support offered through its included user’s manual. It has a very easy-to-use touchscreen which offers lightning-fast fingertip access to different HDS features. It also offers cursor assist, intuitive menus, snap-to-setting markers and innovative preview panes that come with quick-touch slider bars that offer incomparable control in different water and weather conditions. It also comes with a built-in StructureScan HD sonar imaging. This feature will allow for a picture-like 180-degree view of the fish and structure underneath your boat. On top of that, it also comes with an overlay live HD bottom imagery above the charts with the use of innovative DownScan overlay feature. It also needs an optional StructureScan HD transducer. The Lowrance HDS 7 Touch is known for its award-winning, built-in Broadband Sounder which gives you access to game fish, structure, and baitfish—all at higher speeds and greater depths from1 to 3,000 feet. Its enhanced StructureMap HD capability uses logs in order to make stunning underwater images of rivers, lakes or seafloors. This feature may also be viewed as an overlay, and then toggled on and off in order to offer the best situational awareness with relation to both bottom and chart detail. When it comes to fish finding equipment, there are a lot of options that you can choose from. For instance, Lowrance, itself, is a family of different units that offer different capabilities. 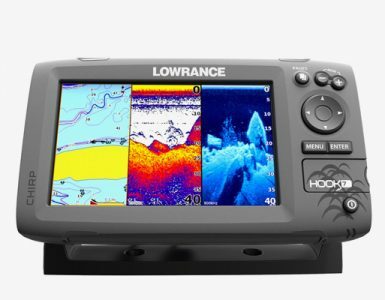 Lowrance HDS 5 for example, is also a good option because it is a combo of a fish finder and a chart plotter. This fish finder is very versatile and compact and comes with a small footprint that is best for anglers who are searching for this feature. Another option is a fish finder which can be used during ice fishing called the Ice Fishing Flasher. If you are into ice fishing, this is the best equipment to choose because all of its features are designed with the single purpose in mind. It is also very easy to use with several features that are very convenient to operate. 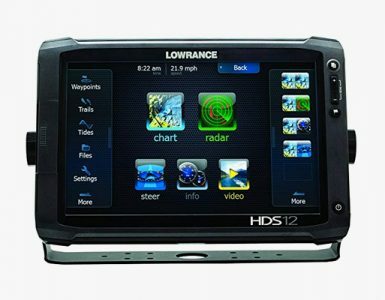 However, what makes the Lowrance HDS 7 different is that it comes with a touchscreen display, making it easier for you to work on the items on the display. At the same time, the features have been enhanced in a way that can easily be used even by beginners. When it comes to fish finding equipment, Lowrance has an excellent reputation that is backed up by the claims of users. They particularly love the unit’s long battery life, as well as the manufacturer’s two-year warranty offer. As a result, you can be assured that you have wonderful access to hot fishing spots, offered by Baja and Insight, as well as directions to other interesting points for anglers. You also have the option to subscribe to radar, multiple station radio updates and SIRIUS satellite weather, all of which are highly compatible with the unit. They may easily be overlaid on the unit by simply connecting them to the right sensors. All of the features that are listed above make this equipment piece a must-have for any fishing enthusiast. 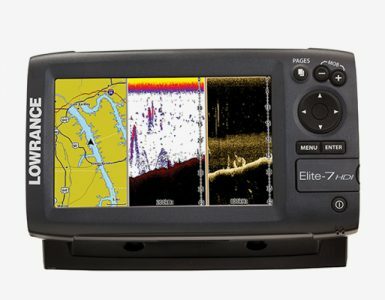 Whether you are a beginner angler, or perhaps a long time professional angler, you would certainly find the Lowrance HDS 7 Touch as a very good option. It comes with features that make operation easy. The base maps that are provided by Insight USA may be personalized so you can incorporate your experience. 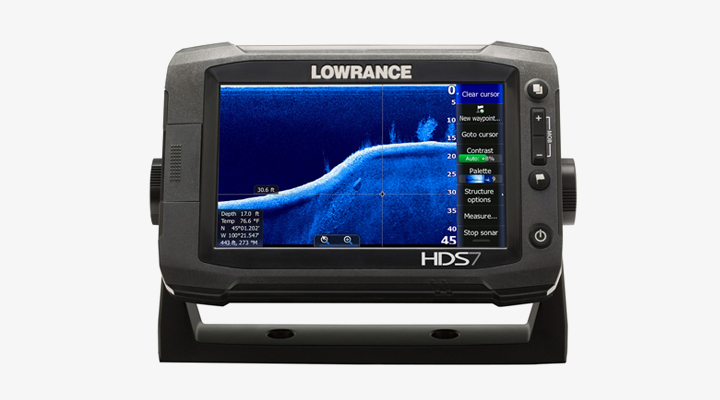 With the reputation of Lowrance to back up the quality of the unit, you can be assured that you have the best options at hand with the HDS 7 Touch. It is highly advisable to take into consideration your actual needs, including personal preferences, when it comes to features in order to identify whether this option is perfect for you.